With more than 500 million users, LinkedIn is the largest professional networking site in the world and an excellent place for companies to make meaningful connections with others in their industry, find highly qualified and targeted leads, and to drive more traffic to their business websites to increase brand awareness and generate leads. In today's age of social media, leveraging a professional social network like LinkedIn to drive sales leads is becoming more critical than ever before. 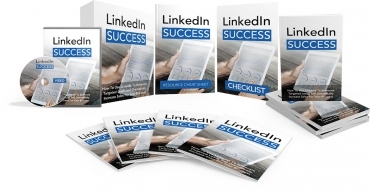 This step by step course will show you how to use LinkedIn to generate targeted leads and dramatically increase sales for your business.